It used to be more time-consuming to reach Marrakech from Fez than it was from most European cities – at least eight hours on the train. But now, thanks to Air Arabia, there’s a new flight linking the two Moroccan cities within 40 minutes. 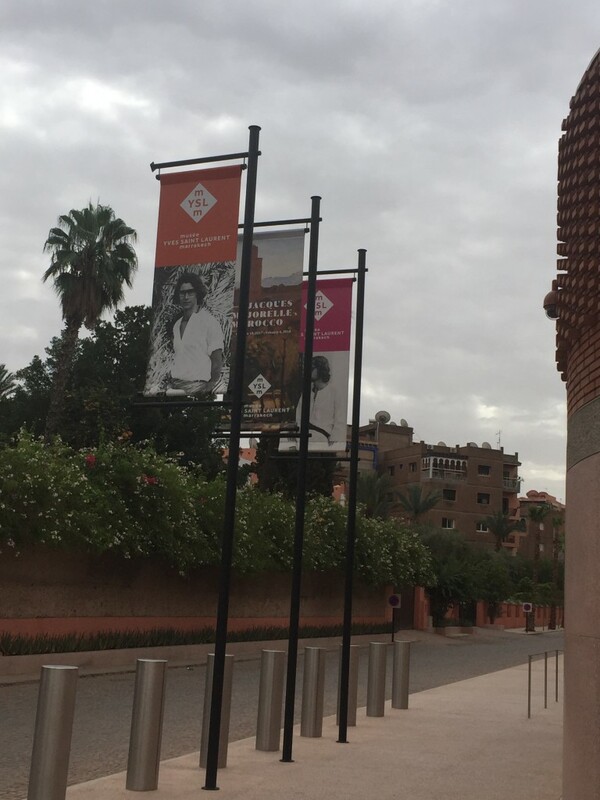 I took the flight last week to spend some time in Marrakech checking out riads and restaurants, and to attend an advance opening of the new Yves Saint Laurent Museum in the city. Now unless I get a job as a cleaner at this remarkably beautiful museum, I’m unlikely to see the exhibits again with so few other visitors. Located adjacent to the Majorelle Garden in Marrakech, the building itself was designed by Studio KO in Paris and celebrates local building materials. Pierre Bergé, who sadly passed away but weeks before the museum opened, wanted the architecture to reflect the warp and weft of fabric. It is constructed of the red bricks of Marrakech along with pink granite, with gardens designed by Madison Cox. 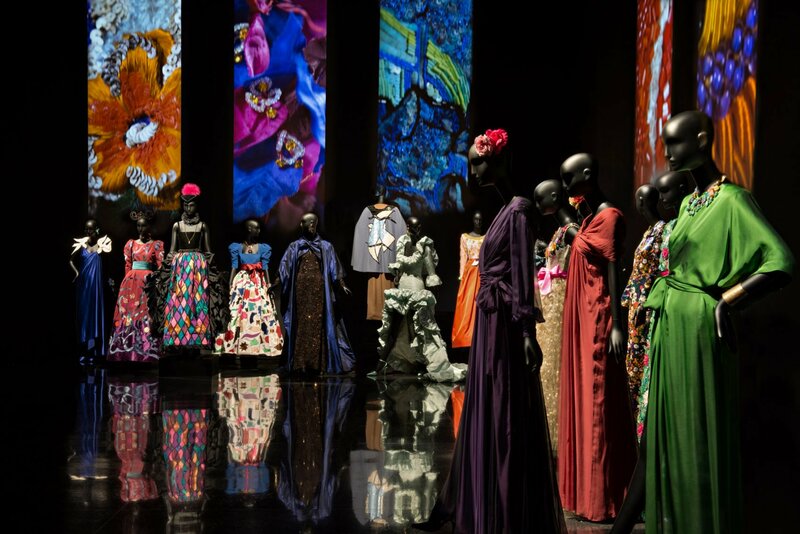 The Museum houses a permanent exhibition of Yves Saint Laurent’s work, all black walls and black mannequins, enlivened by displays of photographs of his life, projections of film, photographs and captions in French, Arabic and English, and of course, the clothes themselves. I admit to being old enough to remember the safari jacket with chain belt adapted for the High Street when I was a teenager. There’s the Mondrian-inspired geometric dress that appeared on the cover of Vogue in September 1965, striking Bambara dresses, Le Smoking of course, and my personal favorites, evening dresses inspired by Henri Matisse paintings. 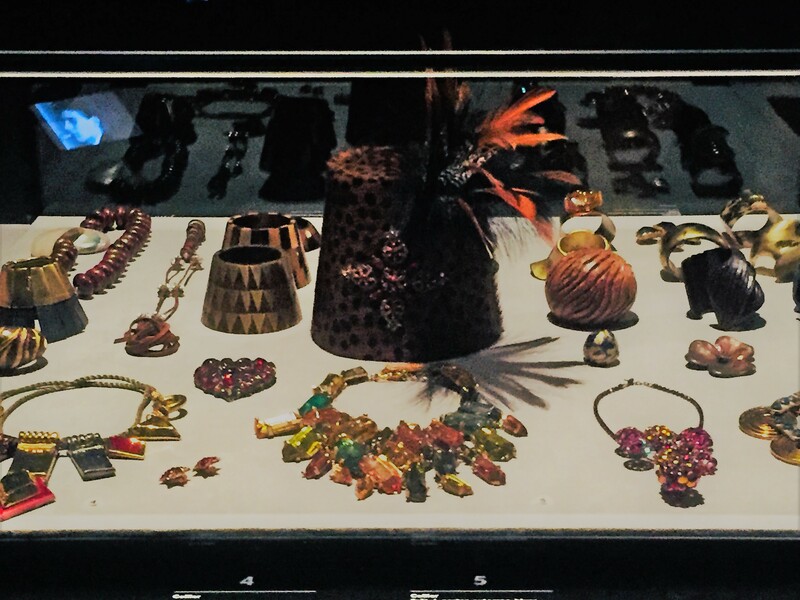 Colourful, intricately beaded jackets and boleros guard a trinket box of costume jewellery, gloves and a feathered leopard skin-print fez. Across the hall is the 150-seat Pierre Bergé Auditorium, currently showing a movie of Saint Laurent’s life. It will feature a programme of cultural events such as opera, recitals, colloquiums and film screenings. A yellow-themed café and, of course, a shop where you’ll find books, jewellery and 1970 Love cards in an ochre-red setting, the colour of Opium packaging, cluster around the central atrium. Behind the scenes is a state-of-the-art research library, conservation archive and laboratory. 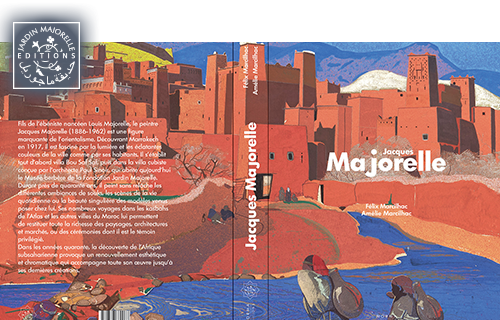 Finally, the temporary exhibition hall currently houses Jacques Majorelle’s Morocco (until February 2018). 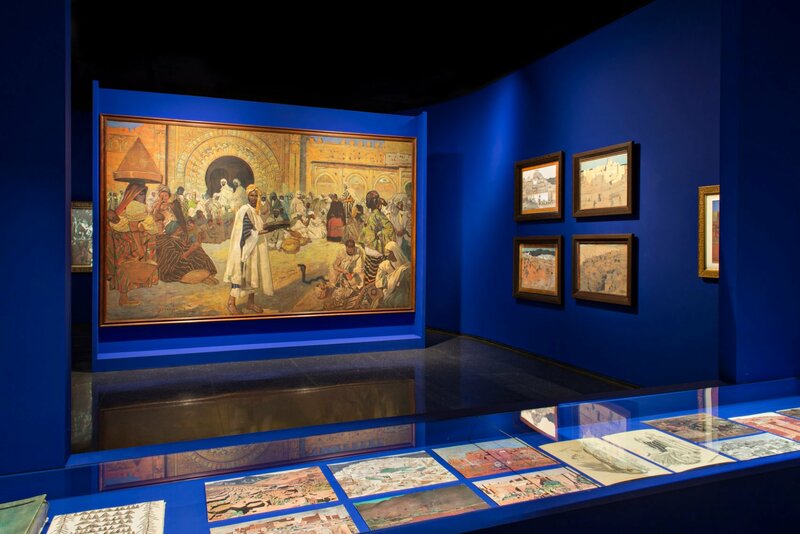 An Orientalist painter, Majorelle lived in Marrakech for 30 years from the mid 1920s. He was enthralled by the Moroccan landscape, people and daily life. He painted scenes of souks and medina life, and persuaded Governor Lyautey and the Pasha to allow him to travel outside the city to paint High Atlas kasbahs from Anemiter to Taroudant. He built Villa Bou Saf Saf in the Marrakech palm groves where he painted nudes of local black women. He decorated the ceiling, painted vast works and designed furniture for La Mamounia Hotel and the Casablanca Town Hall. Later, he went to French Sudan (today’s Mali), Senegal, Guinea and Ivory Coast, where he painted portraits and scenes from daily life. 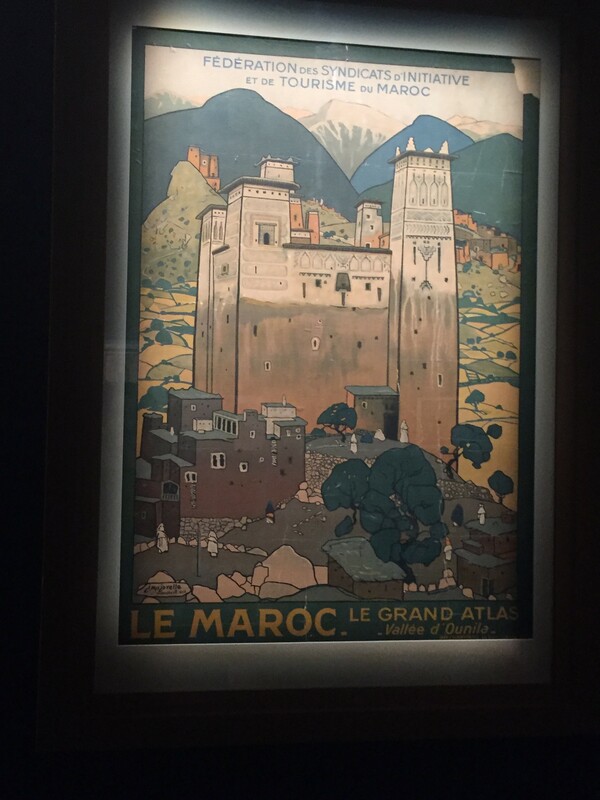 His posters advertising tourism to Morocco are well-known. This was what I had spent months working on – an English translation of the catalogue for the exhibition. Some 40 of Majorelle’s works are shown here, including Le Marché aux dattes which is remarkably detailed, Bab Agnaou, a huge rendition of one of the principal gates to the Marrakech medina, and several High Atlas kasbahs with their highlights of silver and gold metallic powder. Sadly, there’s none of his work from further south in Africa in this exhibition. It was Jacques Majorelle, of course, who planted and developed the Majorelle Garden, which was later bought – and indeed saved – by Yves Saint Laurent and Pierre Bergé. It was Majorelle who painted his house and plant pots that distinctive blue. And it was Majorelle’s work that I particularly wanted to see after working on the catalogue for so many months. Marrakech is indeed blessed to have this welcome addition to its cultural scene. Don’t miss it.